It only took opening and beginning to read the first chapter of The Old Place by C C Vyvyan before I was hooked. I have read everything of hers that I can get my hands on – several times and never tire of her words. Clara Vyvyan can take the reader into her circle and experience her life alongside her. One feels as though one knows her friends and associates and could enter into a conversation with them quite comfortably upon first meeting. She was born into a family with great social standing and should, by rights have entered into an early marriage and produced children and good works. But she didn’t. I have never seen her name and character bandied about as an example of female empowerment and it may be that Clara, like many similar women just got on with her adventures and challenges and travels. She was a social worker in the East End of London, a writer, a market gardener and fearless explorer. I have seen no detailed biography of Clara. A blog by a woman who chooses to embrace spinsterhood (nothing wrong with that) informs us of some of the travels of C C Rogers and how she never married. I took away from that article that she was possibly a lesbian. She was not and neither was Daphne du Maurier, Clara’s friend and often travelling companion, although popular reports still infer this. 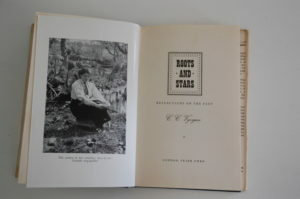 Clara Coltman Rogers was born in 1885 at the family’s cattle ranch in Stanage, Queensland. Clara, her elder brother Michael and elder sister Harriet were also born there. The ranch is on a peninsula, which at the time was extremely remote, ranchers there going months without seeing another human. The nearest town was 120 miles away and the nearest ranch 100 miles away. They lived by the sea, overlooking the Great Barrier Reef. This ranch provided the family with their principal source of income and that was substantial. Her mother Charlotte Williams was a member of the Williams family of Caerhays, Burncoose and Scorrier of Cornwall. Her father, John Michael Williams, had been High Sheriff of Cornwall. The family made a fortune from mining and were also famous for their gardens and horticultural expertise. Charlotte was very aware of and proud of her social roots. It was to Gwennap and in 1916 to Burncoose that the Rogers family moved after leaving the Australian ranch in the hands of managers and later to their eldest son, Michael. The family regularly travelled back to Queensland and Michael often came back to England. Her father, Edward Powys Rogers was a member of the Coltman Rogers family of Stanage Park in Powys. Clara spent a great deal of her time with her relatives. She holidayed during several summers in the 1920’s exploring Wales, particularly from Stanage Park to Snowdon in a horse drawn caravan with her Coltman Rogers cousins. She described one night out on the lakeside at Bala, when they awoke, surrounded by cattle. A great aunt and godmother, Mrs Pocklington Coltman owned Hagnaby Priory in Lincolnshire and Clara and her siblings went there as often as they could and loved every minute. Clara need only use the proverb, ‘the peace of Hagnaby’ and her family understood immediately. This was the phrase she used to let her brother Michael know exactly what Trelowarren meant to her. Two further children, Harry Powys and Elizabeth Naomi arrived on the family’s return to Gwennap in 1887. Naomi was a weak child who suffered from debilitating asthma and was babied by the family. She was not taken on the family travels around Europe or on the six month stays at the ranch in Queensland. The girls had governesses until they were sixteen and then Clara chose a school in London. She loved learning and eventually studied for a Science Degree at the Women’s University Settlement in London and trained to be a social worker. She had a job working amongst the very poor and used her salary to help pay for her education and accommodation. Clara was enjoying her life of freedom and independence. Then the news came that her sister Harriet was to marry James Malcolm MacLaren, a geologist. Charlotte didn’t really approve, thinking he was not the ‘right sort,’ but their marriage was happy and produced five children and seven grandchildren. This meant that Clara must return home to Gwennap as Naomi was under 20 and considered too young to be the ‘Home Daughter’. Clara fought this and managed to remain fairly independent in London until 1914. Naomi had been getting much better and was able to travel to Brittany with trusted friends who had stayed with her in the past on several of her ‘cures’ in Switzerland. They all returned happily to their Surrey home, where Naomi caught a cold, developed pneumonia, heart trouble and asthma. She was dead soon after on 8th May 1914 and was brought back to Gwennap by Clara and Harry. Her parents had managed to race to Surrey following an urgent message and Naomi died in their arms, but they returned alone to prepare for the funeral. Clara left her work and studies in London following the funeral. The family then went on a European tour during which war broke out and they struggled to make it back to England safely. Harry, now a Lieutenant in the Royal Navy, was killed in action on November 1st, 1914 at the battle of Coronel off the coast of Chile when his ship HMS Monmouth was sunk. Harry was 27 years old. Their parents had a memorial stone erected in the church to Harry and Naomi. Two children dead in under six months. Clara travelled to Hagnaby Priory to find some peace. There she pulled herself together and began war nursing as many women did at that time. She went to Rouen and here was introduced to the 56-year-old, (born 5th June 1858) Sir Courtenay Bourchier Vyvyan, 10th Baronet, whose stately home was Trelowarren, Cornwall where he lived with his wife. His son and heir Vyell, had died in 1898 and the property would eventually go to cousins. Clara and Sir Courtenay got on very well and remained friends. After the end of the war, Clara began her adventures in earnest. She returned to be at home during her father’s final illness when he died following an operation on his cancer of the oesophagus. Clara had not approved of the operation, feeling that although his life was extended by a few weeks, it was a terrible life. The family had moved into Burncoose in 1916 and this was where Edward spent his final years before joining his daughter and the memorial stone to his drowned son in Gwennap Church. Clara soon left home again and with her friend Gwen Dorrien Smith successfully travelled across Canada and back at great cost and with great bravery, details of which she wrote about in An Arctic Adventure later in her life. She was now getting some articles published and making a name for herself with her writing. On the 3rd January 1928, the wife of Sir Courtenay died, and the couple began to see a lot more of each other. Clara stopped travelling and bought a car so that she could visit him at Trelowarren often. They married on the 21st November 1929 despite dire warnings from all members of the families that this was bad match, due to the age difference. They however, remained happily married and content until his death on 15th November 1941, prior to which Sir Courtenay had signed Trelowarren over o Clara. His ashes were scattered at his request over the bluebells in the beech grove. Clara was adamant that the soldiers who stayed there during the war years and did so much damage to the house and grounds should leave this sacred spot alone. 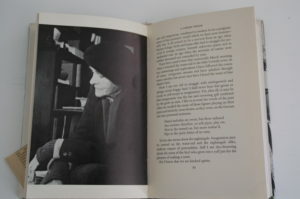 Her friend Daphne du Maurier, wrote the foreword in Clara’s book, Letters from a Cornish Garden. It was in 1932, just before Daphne’s marriage when Daphne and Foy Quiller Couch, daugher of Arthur Quiller Couch, rode to the Lizard where they explored before spending time with the Vyvyans in their home. Daphne loved Trelowarren and never forgot her first journey there. Daphne talked of the library full of books and a housemaid and the striking of the stable clock. Clara cut flowers from the Lady’s garden as Sir Courtenay leaned on a stick as a robin flew on to his hand. Daphne felt moved by the place and thought that this place was the last of old England as she would ever know it. Daphne set her book Frenchmans Creek at Trelowarren and the surrounding lands. Incidentally, Daphne du Maurier used the house and setting of Trelowarren in her novel Frenchman’s Creek. She also used the gardens in Rebecca. Lady Clara was used as a hopefully persuasive tool against Daphne after she had written I’ll never be young again by Arthur Quiller Couch. He carpeted her at The Haven: ‘My dear Daphne, people don’t say such things,’ the old innocent reproved her. The young lady, who knew, replied, ‘But, Sir Arthur, they do.’ The dear old boy couldn’t face the thought, especially with his old fashioned gallantry about women, and wondered whether this made suitable company for daughter Foy and her friend Lady Vyvyan of Trelowarren. Trelowarren was requisitioned by the Army during World War 2 and Clara did her ‘war work’ in Bristol. She returned to Cornwall to supervise Trelowarren at various times, although a bailiff and her Head Gardener George Bryant were overseeing the property. She had one meeting with the Army where she let them know in a dignified way, the utter carnage they were doing to the property. She wrote about it movingly in ‘Requisition’ which featured in the periodical My Garden and her book The Old Place. It was Theo Stephens and Malcolm Saville, editors of My Garden who printed many articles of Clara’s and along with other publications such as the Manchester Guardian and the Western Independent. Clara was summoned at the West Kerrier Petty Sessions on the 26th February 1940 for driving a motor car without a licence. Following the war, Lady Clara needed money to maintain and run Trelowarren. Her inheritance was subsidised by her writing and the income they made from running a market garden, producing, fruit, vegetables and flowers. 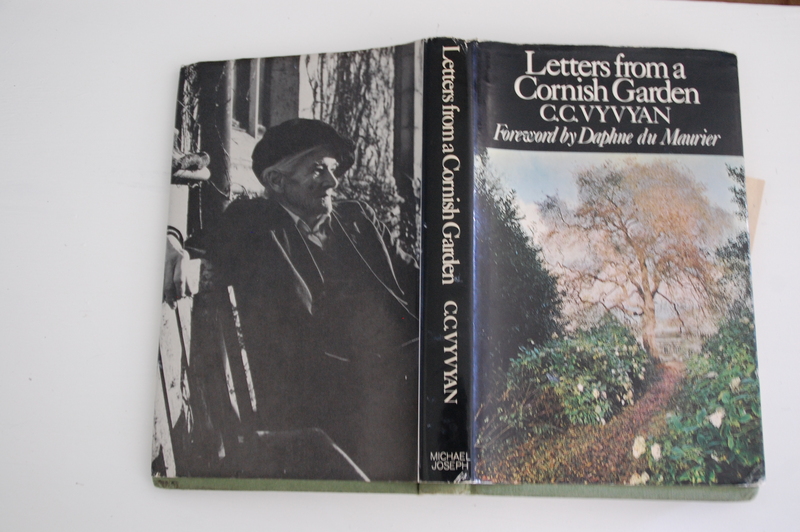 She writes about these times in Letters from a Cornish Garden and The Old Place, much better than I can paraphrase. I was particularly moved by the death of her great friend and employee George Bryant and the tribute to him in the West Briton, a paper he used to read cover to cover. She also returned to see her mother during her final days until her death on 17th April 1944 and see her buried at Gwennap alongside the rest of the family. Clara still adventured around the world often alone and sometimes accompanied by friends such as Daphne du Maurier and Foy Quiller Couch. She would trudge around the lanes of Cornwall even in great age. Her brother Michael would come and visit when he was able. Oriel Malet, another friend of Daphne du Maurier remembers one stormy afternoon when Clara hammered at the window of the Long Room at Menabilly. Clara was clad all in black oilskins and soaking wet. Staying a few days at The Haven with Foy she had decided to tramp over to visit her old friend at Menabilly and go through maps and atlases to discuss her latest adventure. Clara wrote over 20 books and many articles. Her books are still available. Clara’s latter years were sad. She went blind and had made over Trelowarren to the next heir, a distant cousin of her late husband’s. She lived in a wing there and eventually had to confine herself to one room. She had few visitors, although her old friend Foy visited her very often. Then Foy became older and sicker and was unable to visit. Foy went into a home in 1982 and then to Bodmin Asylum where she died in March 1986 of senile dementia. Daphne du Maurier died at home at Kilmarth of old age on the 19th April 1989 and her ashes were scattered on her favourite beach. Another author friend of hers A L Rowse, lasted until 1997. Lady Clara Vyvyan of Trelowarren died in her room on March 1st, 1976 aged 90, having lived a full life. Her funeral service was held in Trelowarren Chapel at 2.30pm on March 4th and she was cremated, and her ashes scattered at Trelowarren. I found a cut out copy of her obituary from The Times hidden in a second-hand book I bought a few years ago and then another cut out copy of a death entry of a local Western paper in another second-hand book. That was when I decided to write this article. I would have submitted it to my friend Dr James Whetter for An Baner Kernewek, but of course he has now left us. One could become nostalgic if one thought about it all too much.